A qualified eye care professional can do more than just determine if you need eyeglasses or contacts. During a full exam your eyes will also be checked for diseases that are common to the eyes and how well your eyes are working. 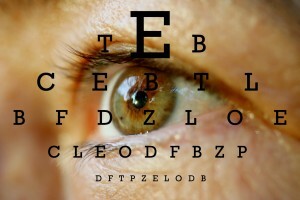 Furthermore, a full examination of your eyes can be a look into your overall health. It is not uncommon for eye care professionals to be the first to detect things like high blood pressure, high cholesterol, and diabetes.